The device is said to have captured his wife and best friend (who’s reportedly also the mayor of his town), embracing and kissing while in various states of undress. The man, known only as Mr Yang, released the footage earlier this week to Shang You News, which is affiliated to state-run Chongqing Daily News Group, the Daily Mail reports. 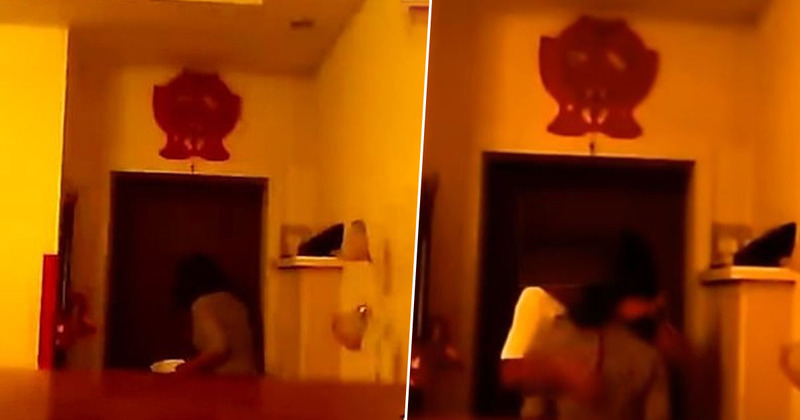 The edited clip, which is approximately a minute long, shows a man entering a doorway before the woman approaches him. The two people then start embracing and kissing in view of the camera. At one point, towards the end of the footage, the man unzips the woman’s dress and she steps out of it – at which point the video cuts out. As per the Daily Mail, the woman – known by a pseudonym Cui Hua – can be heard asking ‘what are you doing’ when the man turns up, with the man replying ‘I miss you’ when the two embrace. Yang claims the entire thing was recorded by his dashcam, which he’d brought home because he thought it was broken. He added how he didn’t realise it was actually working and was switched on. The scorned husband told reporters he was good friends with the man his wife was allegedly cheating with, who was also said to be the mayor of Wenchun Town. The man, known only as Mr Liu, often visited the couple’s home and got to know his wife, Yang stated. The two reportedly became close when Cui Hua was appointed secretary for the local Discipline Inspection Commission and became Liu’s co-worker. Cui Hua firmly denied her ex-husband’s allegations on Monday (April 8), claiming she and Mr Liu were simply ‘ordinary colleagues’ and the footage was an ‘accident’. She told Shang You, Liu was drunk in the video so they had ‘intimate behaviour,’ which was a ‘one-off’ event. The woman also added her ex-husband’s claims were defamatory, stating the video was shot by a secret monitor and not a dashcam.